Be aware! Reading this article can cause hunger, thirst, desire for vacation and traveling. In all of these cases, we are not responsible for it. However, feel free to contact us to help you out. 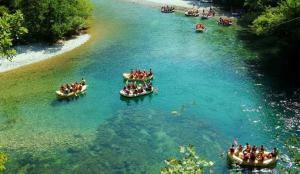 If you are a nature lover then there is no question about it, you should visit Herzegovina! Just the road that leads you from Sarajevo to Mostar will explain to you everything! Breathtaking canyons that Neretva River has made through the mountains has put this railway on the best railways in the World, according to The Guardian. And that is not a mistake. A land that can give you mountains, rivers, lakes, sea, national parks is worth visiting. Here everyone will find something for himself. Mountains will provide you a lot of fresh air, green untouched woods which is perfect for all the climbers. And during the winter you can enjoy in snow as well. Between these mountains, there are goldfields which, in combination with sunsets, will make you forget all the troubles that are bothering you. This nature is also a home for wild animals too. 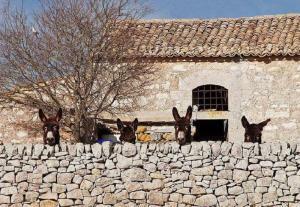 We will just mention that in Herzegovina you can still find wild horses running through the fields. Can you imagine all of this? Cultural mix. That is how we would describe it. If there is a counter that could show you the level of a cultural heritage of some area Herzegovina would be close to the top for sure. Here you can find almost everything that Europe can offer you. From one side there is influence from the West which means Catholic religion and a lot of churches. 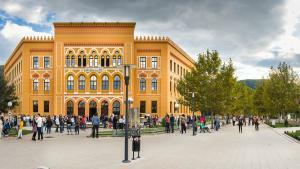 Also, there is a lot of buildings built in the Austro-Hungarian style. From the other side, there is an impact from the East that has left even bigger impact. That means that if you want to see a lot of mosques, narrow and curved streets and experience Islam as a religion you don’t need to go to Istanbul. You can find it here! But what makes it the best is that all of this is mixed in one unique culture. Mosques or churches are not divided or separated, you can find them everywhere standing together next to each other. And on top of that, there is an Orthodox religion too, with their tradition, churches, decorations etc. Unique for sure. Some things you just can’t describe with words. You just need to see it. That is the case with rivers and waterfalls of Herzegovina. Alongside lakes, sea, wetlands and beautiful river springs, rivers and waterfalls are just something different, something special. So clear and shiny that you can see reflections in it and at the same time so colorful. Be sure that they will not be blurred, but instead green and blue. Maybe the best thing is just to show you some pictures and let you enjoy. So there you go! 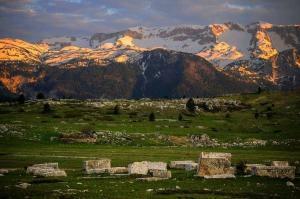 When you speak about Herzegovina you can surely say that it is a rocky land. Covered with gray and white rocks, the landscape sometimes can really be unusual. And in those rocks, you will find smaller or bigger cities and villages built out of – rock! And we mean literally, buildings, houses, rooftops, streets, bridges and much more all built out of the rock. 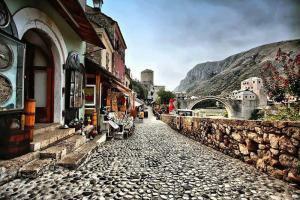 Some of them are also on the UNESCO World Heritage list like Old Bridge in Mostar. So if you are trying to find a signature of Herzegovina, then the rock would be on top of the priority list. Yes, you have read it right! Maybe we are not well-known in the world with our cuisine, but we sure have a lot to offer! The table with food that you can find here would be a product of the things that we have spoken about before: tradition and nature. Among rich and diverse natural food that you can find in Herzegovina, we would point out fresh and healthy fruits. Alongside figs, pomegranate, cherries and many other, the grapes stand out. Don’t be surprised if you run along many vineyards that this land is well known for. 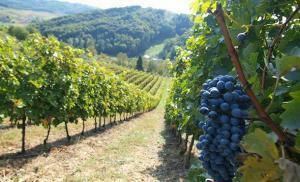 And out of that grapes is produced vines like “Žilavka” and “Blatina”, that have won many awards around the world. Make sure to try them as well. However, all of these fruits will serve you perfectly as a refreshment in hot summers that sometimes can be unbearable. On the other side, a mix of traditions has brought something completely different. Let’s just say that the meat lovers will be amazed. If we can list just some of the dishes that you can find here we would recommend you to try some traditional ones like “Sarma”, “Dolma”, “Japrak”, or specially prepared lamb meet. 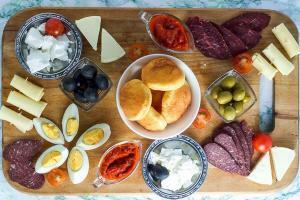 But the thing that is well known here and that you can literally find on every corner is “Ćevapi”. We would definitely recommend you to try it. And on the end, as one of the specialties, there is Herzegovinian Prosciutto as a product of hard wind and pure history that has left a hard impact on this area. Make sure to try it alongside much different local cheese’s that you can find here.